Feed your pet (this product works well with cats and small to medium dogs) up to five times a day (4 out of which are programmable) with the Petsafe 5 automatic pet meal feeder. It has a digital timer that allows you to set when the food will be released for your pet’s consumption, which can distribute all five feedings throughout one day, once a day, every other day, and so on. With this pet feeder, you don’t have to worry about being available or at home in time for your pet’s feeding schedule. And cats and dogs do like their feeding to come at a set schedule. The feeder releases the set amount of food at the set time. You can easily control and maintain your pet’s diet with the help of this feeder, even when you have to go on an out of town trip. This pet feeder is made from rugged polypropylene material that is BPA free to ensure your pet’s safety and health. There are five containers of 1 cup dry food capacity that release the food on the scheduled time, which help control the amount of your pet’s food that is available to them at a given time. The lid latches securely so your cat or dog won’t have a way to get his food unless the feeder dispenses it. The set-up is quite easy as the digital timer (which can be set in one hour increments) takes all the guesswork out of the schedule you’ll be setting for your pet’s feeding. As for clean-up, the tray is detachable and dishwasher safe for your own convenience. This feeder only runs on 4 D-cell batteries, which are not included in the packaging. The entire thing weighs 3.9 pounds with 15 x 5 x 18 inches dimensions. For meals distributed within one day, you can set up the feeder with the AM and PM settings for an accurate schedule. How it works is that the first meal is already available upon setup and the rest will be accessible to your pet at every rotation of the compartments, one rotation for each set hour. 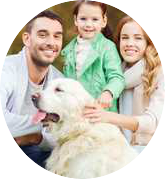 If you need to feed your pet once for five consecutive days, the first meal will be available on the day you set it up and the automatic scheduler will rotate on the next days at a single set time. 1. For first time users: Make sure that you oversee the first few times your pet comes in contact with the feeder to see that there aren’t any issues with them adjusting to it. As mentioned, there is a whirring noise each time the compartments turn so that may be cause for alarm or anxiety to your pet. 2. On assembly: There is an instructions label taped to the lid of the feeder, so make sure to either remove it or tape it even more securely onto the lid to avoid it causing any problems with the mechanism of the feeder. You can always get a new copy from the Petsafe website in case you do remove it. 3. On locking the lid: Make sure that you hear the clicking sound when you press on the lid to ensure that the tray is securely set within the feeder. This also avoids any chances that your pet will be able to turn the tray to get to the next compartment before it’s time. 4. 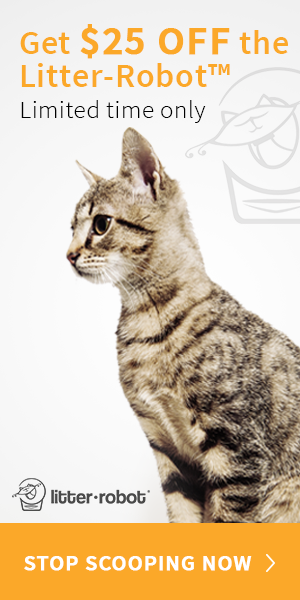 On outsmarting your pet: Never show your pet the refilling process. Once they see that all the food is available inside they will try to outsmart the feeder in order to get it all ahead of schedule. 5. On moist food: While not completely encouraged, moist pet food is still compatible with the feeder. You just have to freeze it beforehand to ensure freshness. If being fed to your pet within the first 10 hours, spread the frozen food on the tray. For meals which will go past the 10 hour mark, you can retain the frozen can shape of the meals to ensure that they take a longer time to thaw out. 6. On allergic to plastic pets: You can get stainless steel bowls to put into the compartments that are 3.5” in diameter so that your pet will not come in contact with the plastic material of the tray. All in all, the Petsafe 5 is perfect for pet owners who have to stick to strict feeding schedules for their pets and don’t have the time to facilitate each feeding themselves. It’s also convenient for owners who will be traveling away from the home for a few days as it can still feed the pets on the scheduled times with no worries. It is advisable that this feeder is only used to feed cats and smaller dogs as bigger dogs can topple over the material easily. It’s also best used for households that feed dry pet food instead of moist ones, especially if their homes are in warmer climates.